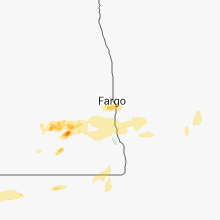 The Hankinson, ND area has had 4 reports of on-the-ground hail by trained spotters, and has been under severe weather warnings 9 times during the past 12 months. 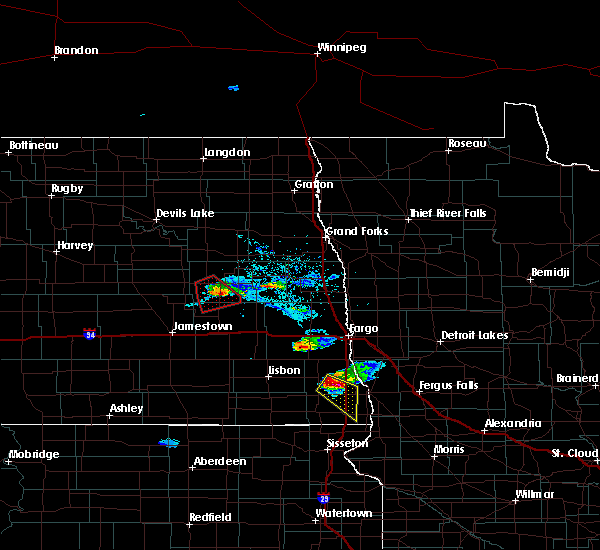 Doppler radar has detected hail at or near Hankinson, ND on 28 occasions, including 4 occasions during the past year. 8/31/2018 3:58 PM CDT The national weather service in grand forks has issued a * severe thunderstorm warning for. southwestern otter tail county in west central minnesota. northwestern grant county in west central minnesota. southeastern wilkin county in west central minnesota. Southeastern richland county in southeastern north dakota. 7/8/2018 6:27 PM CDT At 627 pm cdt, a severe thunderstorm was located near milnor, or 43 miles west of wahpeton, moving east at 25 mph (radar indicated). Hazards include two inch hail and 60 mph wind gusts. People and animals outdoors will be injured. expect hail damage to roofs, siding, windows, and vehicles. expect wind damage to roofs, siding, and trees. 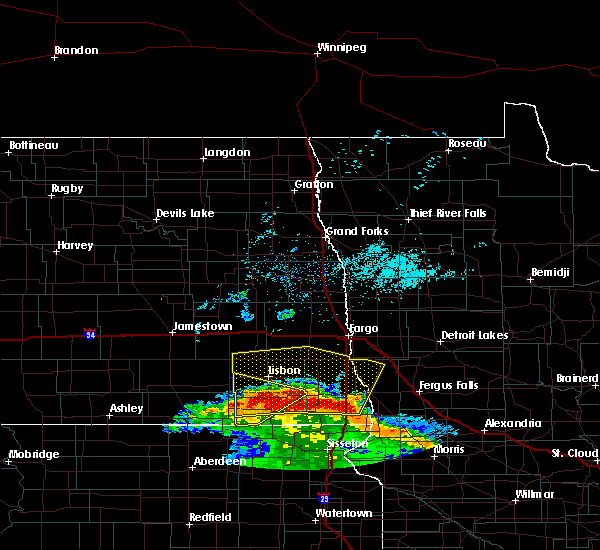 this severe thunderstorm will be near, milnor around 635 pm cdt. de lamere and mcleod around 650 pm cdt. hamlin around 705 pm cdt. wyndmere around 715 pm cdt. 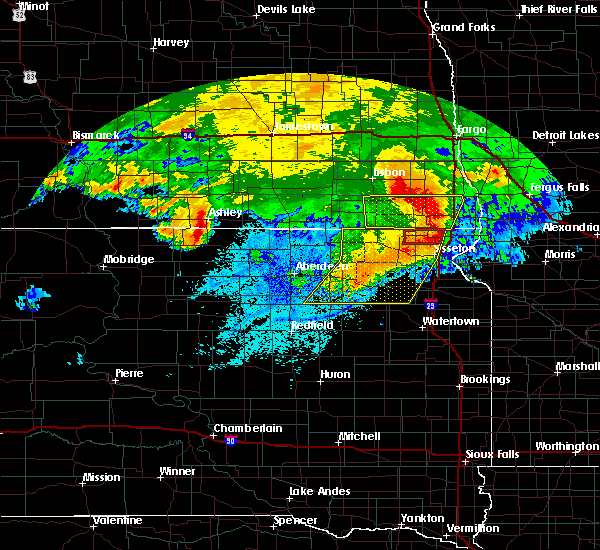 barney and mantador around 730 pm cdt. This includes interstate 29 between mile markers 2 and 28. 6/29/2018 4:36 AM CDT At 435 am cdt, severe thunderstorms were located along a line extending from harwood to near walcott to 6 miles north of claire city, moving east at 50 mph (radar indicated). Hazards include 60 mph wind gusts and penny size hail. Expect damage to roofs, siding, and trees. 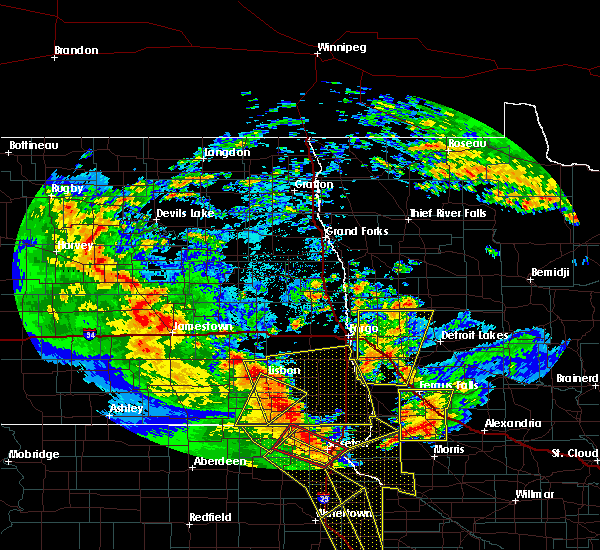 these severe storms will be near, north river, fargo and christine around 440 am cdt. 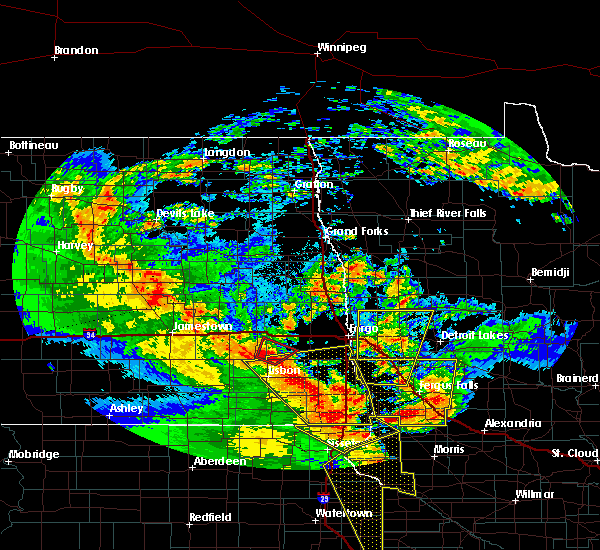 wolverton, oakport and moorhead around 445 am cdt. lamars, glyndon and sonora around 455 am cdt. blackmer, lawndale and fairmount around 500 am cdt. 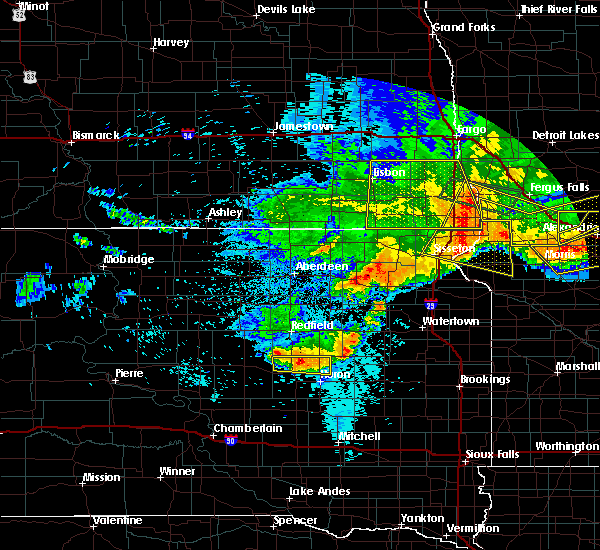 other locations impacted by these severe thunderstorms include moorhead airport and casselton airport. 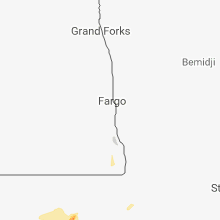 this includes the following highways, interstate 29 between mile markers 0 and 71. interstate 94 in north dakota between mile markers 331 and 352. Interstate 94 in minnesota between mile markers 1 and 44. 6/29/2018 4:06 AM CDT At 405 am cdt, severe thunderstorms were located along a line extending from absaraka to near venlo to near havana, moving east at 50 mph (radar indicated). Hazards include 60 mph wind gusts and penny size hail. Expect damage to roofs, siding, and trees. severe thunderstorms will be near, wheatland around 410 am cdt. casselton around 415 am cdt. barrie around 420 am cdt. mapleton around 425 am cdt. 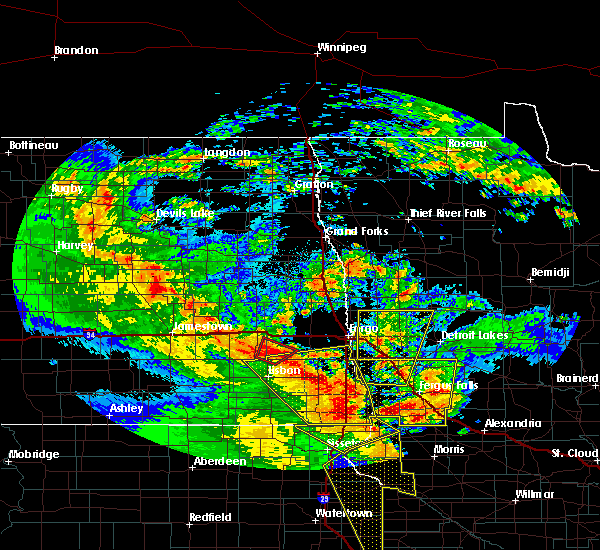 prosper, walcott and west fargo around 430 am cdt. 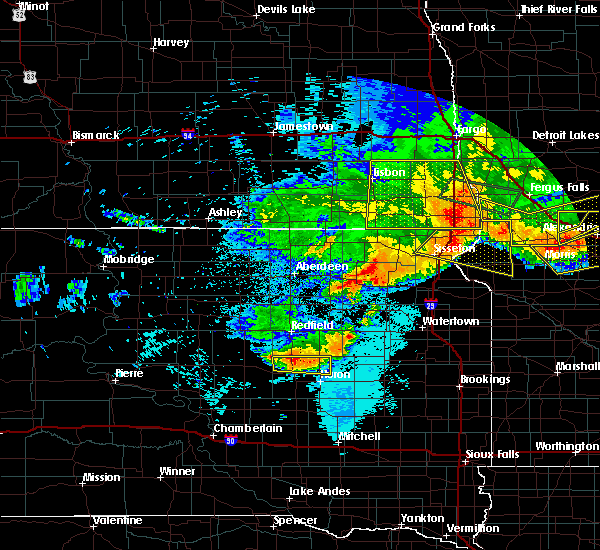 other locations impacted by these severe thunderstorms include moorhead airport and casselton airport. 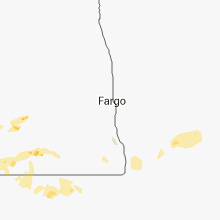 this includes the following highways, interstate 29 between mile markers 0 and 71. interstate 94 in north dakota between mile markers 309 and 352. Interstate 94 in minnesota between mile markers 1 and 44. 6/16/2018 7:44 AM CDT At 743 am cdt, severe thunderstorms were located along a line extending from crete to near mcleod to 6 miles east of great bend, moving north at 35 mph (radar indicated). Hazards include 60 mph wind gusts and quarter size hail. Hail damage to vehicles is expected. expect wind damage to roofs, siding, and trees. severe thunderstorms will be near, great bend around 745 am cdt. mcleod around 750 am cdt. breckenridge and venlo around 755 am cdt. 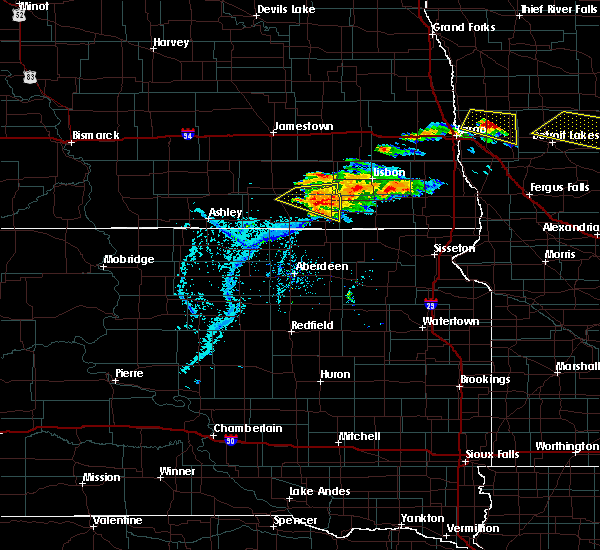 wahpeton, dwight and anselm around 800 am cdt. englevale around 805 am cdt. This includes interstate 29 between mile markers 8 and 50. 7/22/2017 3:45 AM CDT At 343 am cdt, severe thunderstorms were located along a line extending from near downer to near christine to 6 miles east of mcleod, moving east at 45 mph (radar indicated). Hazards include 60 mph wind gusts and quarter size hail. Hail damage to vehicles is expected. expect wind damage to roofs, siding, and trees. these severe storms will be near, wolverton, barnesville and downer around 345 am cdt. abercrombie and wyndmere around 350 am cdt. kent and mccauleyville around 355 am cdt. barney and brushvale around 400 am cdt. mooreton and galchutt around 405 am cdt. this includes the following highways, interstate 29 between mile markers 6 and 56. interstate 94 in minnesota between mile markers 11 and 34. Most likely location for quarter size hail is just south of sabin, moving toward the barnesville area. 7/22/2017 3:27 AM CDT At 325 am cdt, severe thunderstorms were located along a line extending from near sabin to near barrie to near venlo, moving east at 45 mph (radar indicated). Hazards include 60 mph wind gusts and quarter size hail. Hail damage to vehicles is expected. expect wind damage to roofs, siding, and trees. 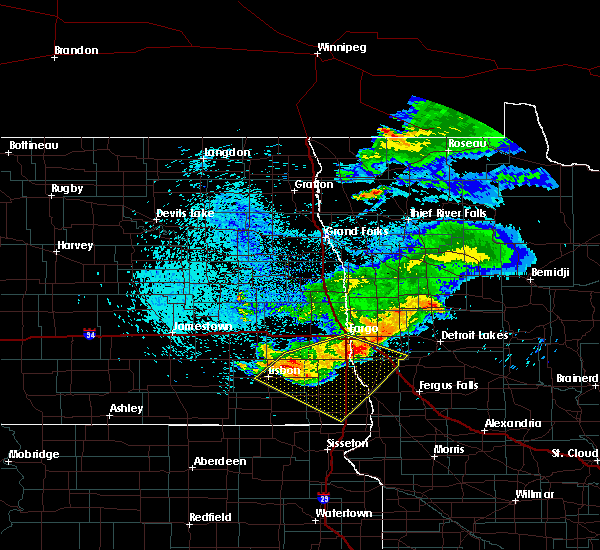 these severe storms will be near, sabin and rustad around 330 am cdt. walcott around 335 am cdt. colfax, downer and baker around 340 am cdt. 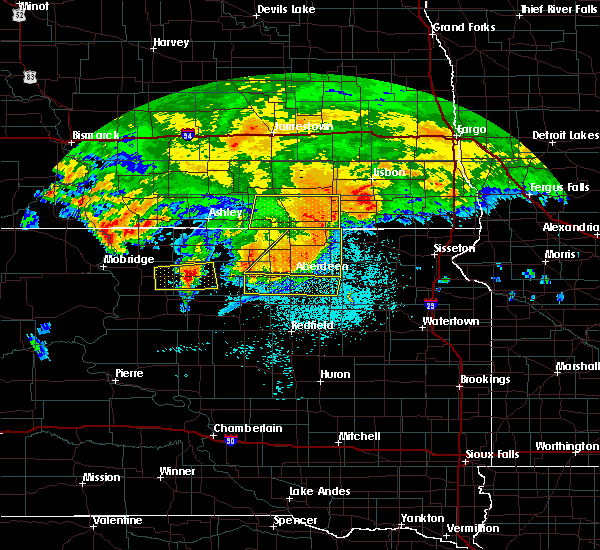 christine around 345 am cdt. abercrombie, wolverton and barnesville around 350 am cdt. this includes the following highways, interstate 29 between mile markers 6 and 66. interstate 94 in north dakota between mile markers 346 and 352. interstate 94 in minnesota between mile markers 1 and 3, and between mile markers 11 and 34. Most likely area for quarter size hail is just south of enderlin, moving toward barrie. 7/22/2017 3:07 AM CDT At 307 am cdt, severe thunderstorms were located along a line extending from near casselton to near leonard to near lisbon, moving southeast at 40 mph (radar indicated). Hazards include 60 mph wind gusts. Expect damage to roofs, siding, and trees. 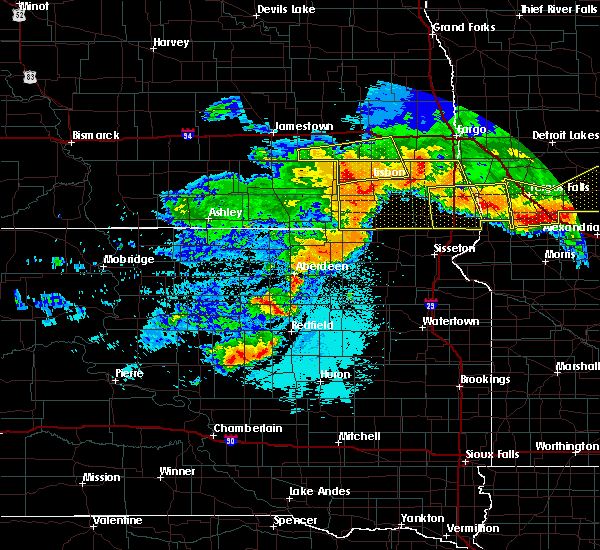 severe thunderstorms will be near, casselton around 310 am cdt. mapleton, leonard and durbin around 315 am cdt. venlo around 320 am cdt. 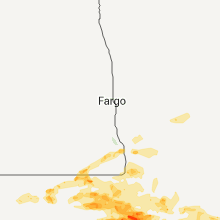 west fargo and barrie around 325 am cdt. 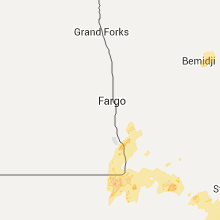 fargo, horace and kindred around 330 am cdt. 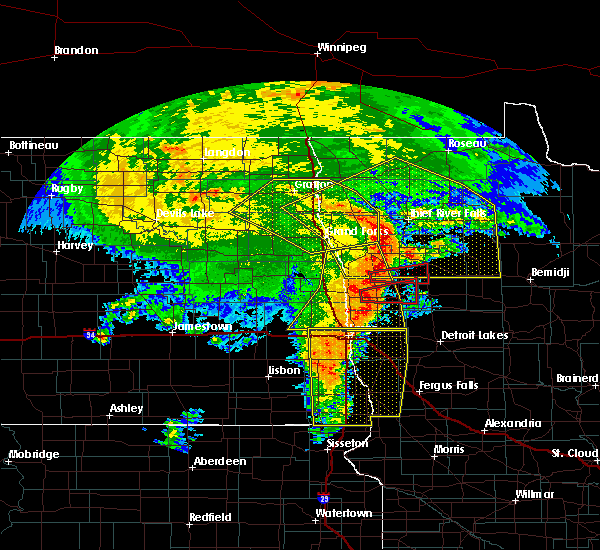 other locations impacted by these severe thunderstorms include casselton airport. this includes the following highways, interstate 29 between mile markers 6 and 66. interstate 94 in north dakota between mile markers 323 and 352. Interstate 94 in minnesota between mile markers 1 and 3, and between mile markers 11 and 34. 7/21/2017 6:10 PM CDT Quarter sized hail reported 11.1 miles NE of Hankinson, ND, mostly pea to dime size. 7/21/2017 6:01 PM CDT At 600 pm cdt, a severe thunderstorm was located 7 miles south of stiles, or 21 miles north of sisseton, moving east at 25 mph (radar indicated). Hazards include 60 mph wind gusts and quarter size hail. Hail damage to vehicles is expected. expect wind damage to roofs, siding, and trees. this severe thunderstorm will be near, lamars around 635 pm cdt. blackmer around 645 pm cdt. This includes interstate 29 between mile markers 0 and 12. 6/13/2017 8:38 PM CDT At 838 pm cdt, severe thunderstorms were located along a line extending from near durbin to near collis, moving east at 50 mph (radar indicated). Hazards include 60 mph wind gusts and quarter size hail. Hail damage to vehicles is expected. expect wind damage to roofs, siding, and trees. these severe storms will be near, horace around 845 pm cdt. wild rice around 850 pm cdt. This includes interstate 29 between mile markers 1 and 58. 6/13/2017 8:29 PM CDT At 829 pm cdt, severe thunderstorms were located along a line extending from near chaffee to near barry, moving northeast at 55 mph (radar indicated). Hazards include 60 mph wind gusts and quarter size hail. Hail damage to vehicles is expected. expect wind damage to roofs, siding, and trees. 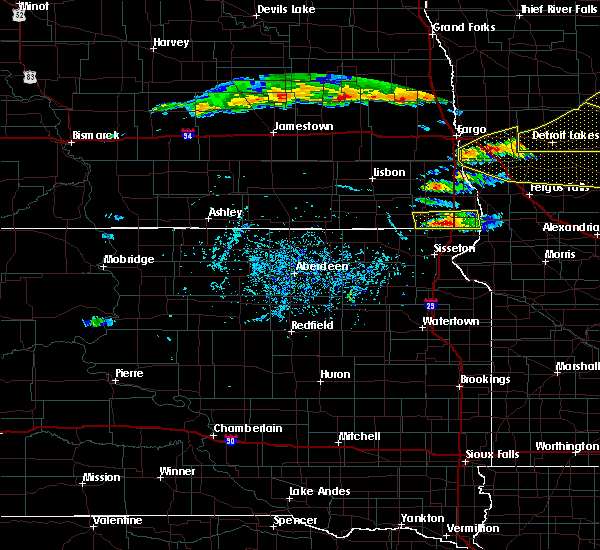 these severe storms will be near, davenport around 840 pm cdt. horace around 850 pm cdt. wild rice around 855 pm cdt. This includes interstate 29 between mile markers 1 and 58. 6/13/2017 8:11 PM CDT At 810 pm cdt, severe thunderstorms were located along a line extending from near enderlin to peever, moving east at 55 mph (radar indicated). Hazards include 60 mph wind gusts and quarter size hail. Hail damage to vehicles is expected. expect wind damage to roofs, siding, and trees. severe thunderstorms will be near, leonard around 830 pm cdt. davenport around 840 pm cdt. horace around 850 pm cdt. wild rice around 855 pm cdt. This includes interstate 29 between mile markers 1 and 58. 8/16/2016 3:21 PM CDT At 320 pm cdt, a severe thunderstorm was located near wyndmere, or 25 miles west of wahpeton, moving southeast at 25 mph (radar indicated). Hazards include quarter size hail. Damage to vehicles is expected. this severe thunderstorm will be near, wyndmere around 335 pm cdt. 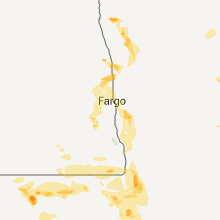 barney around 345 pm cdt. mooreton around 350 pm cdt. 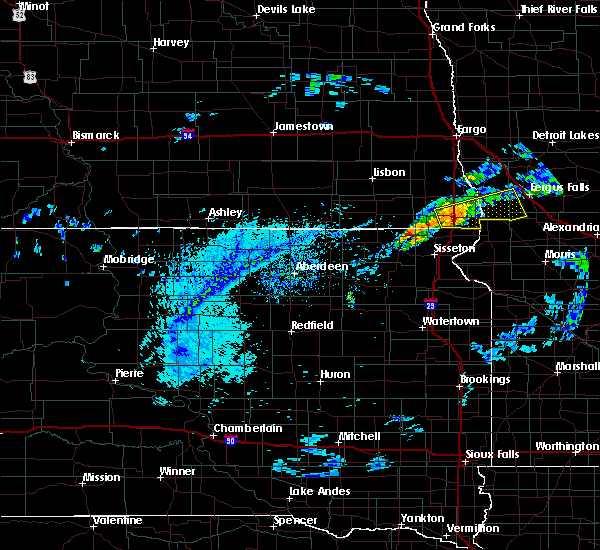 mantador around 400 pm cdt. stiles around 405 pm cdt. Also includes interstate 29 between mile markers 2 and 24. 8/10/2016 3:09 AM CDT At 308 am cdt, severe thunderstorms were located along a line extending from mcleod to 7 miles southwest of hankinson to 7 miles north of sisseton, moving east at 50 mph (radar indicated). Hazards include 70 mph wind gusts and quarter size hail. Hail damage to vehicles is expected. expect considerable tree damage. wind damage is also likely to mobile homes, roofs, and outbuildings. severe thunderstorms will be near, stiles around 310 am cdt. hankinson around 315 am cdt. sonora around 320 am cdt. lamars around 325 am cdt. colfax, fairmount and blackmer around 330 am cdt. Also includes interstate 29 between mile markers 0 and 37. 8/10/2016 2:46 AM CDT At 245 am cdt, severe thunderstorms were located along a line extending from milnor to cayuga to near lake city, moving east at 55 mph (radar indicated). Hazards include 70 mph wind gusts and penny size hail. Expect considerable tree damage. damage is likely to mobile homes, roofs, and outbuildings. 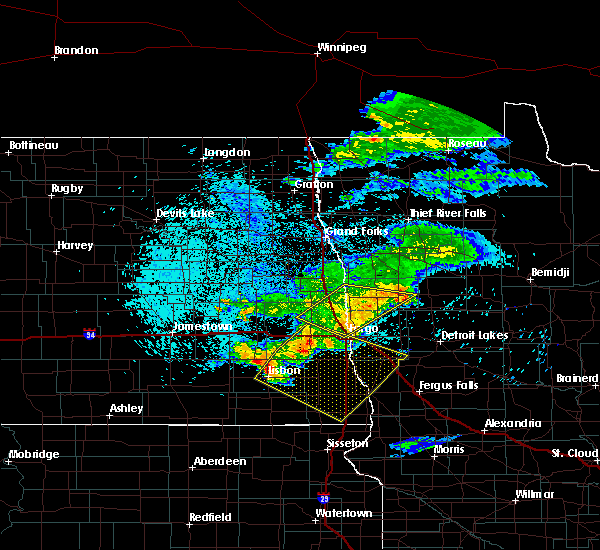 these severe storms will be near, de lamere around 250 am cdt. 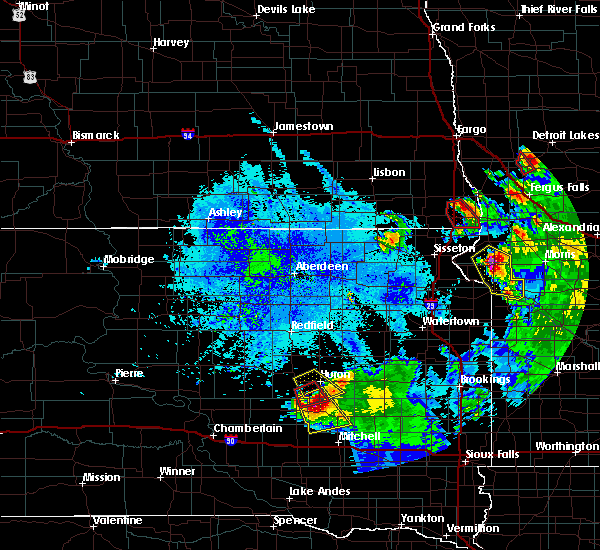 geneseo and hamlin around 255 am cdt. lidgerwood around 300 am cdt. wyndmere and stiles around 305 am cdt. 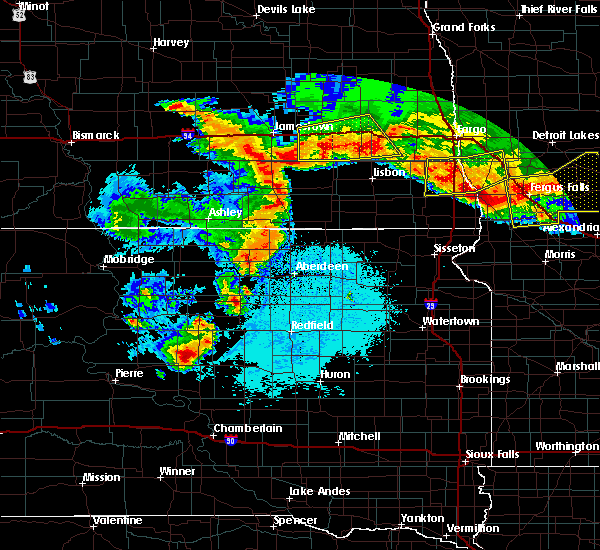 barney and mantador around 310 am cdt. Also includes interstate 29 between mile markers 5 and 23. 8/10/2016 2:11 AM CDT At 208 am cdt, severe thunderstorms were located along a line extending from near glover to near guelph to near columbia, moving east at 70 mph (radar indicated). Hazards include 70 mph wind gusts and penny size hail. Expect considerable tree damage. damage is likely to mobile homes, roofs, and outbuildings. severe thunderstorms will be near, straubville and crete around 220 am cdt. brampton and stirum around 225 am cdt. gwinner and cogswell around 230 am cdt. 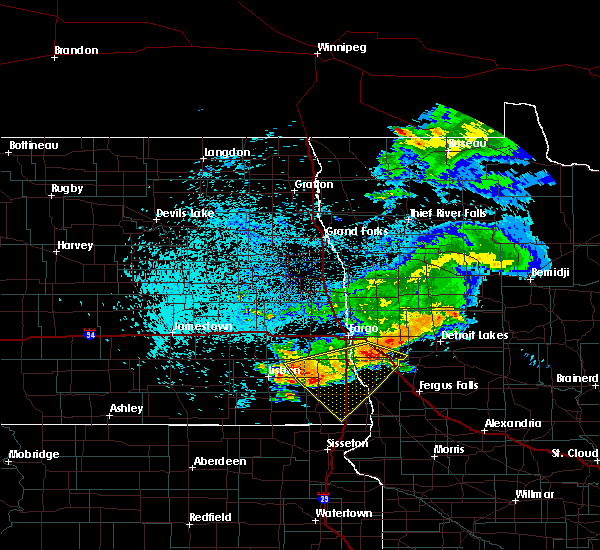 forman around 235 am cdt. 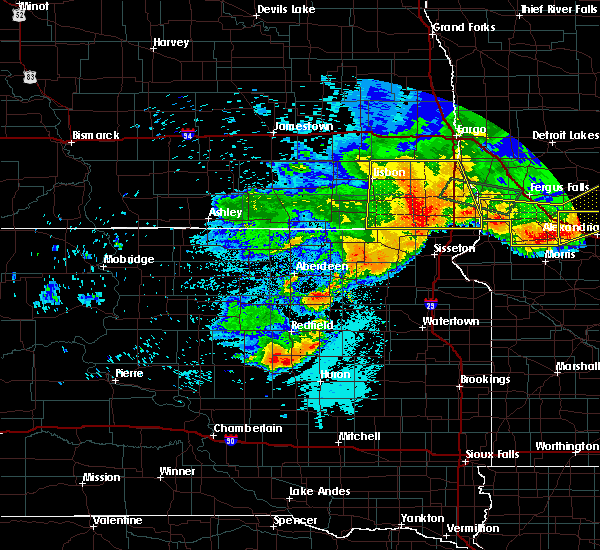 rutland and milnor around 240 am cdt. Also includes interstate 29 between mile markers 5 and 23. 7/10/2016 1:41 AM CDT At 139 am cdt, severe thunderstorms were located along a line extending from brushvale to near victor, moving east at 50 mph (radar indicated). Hazards include 60 mph wind gusts and penny size hail. Expect damage to roofs. siding. and trees. 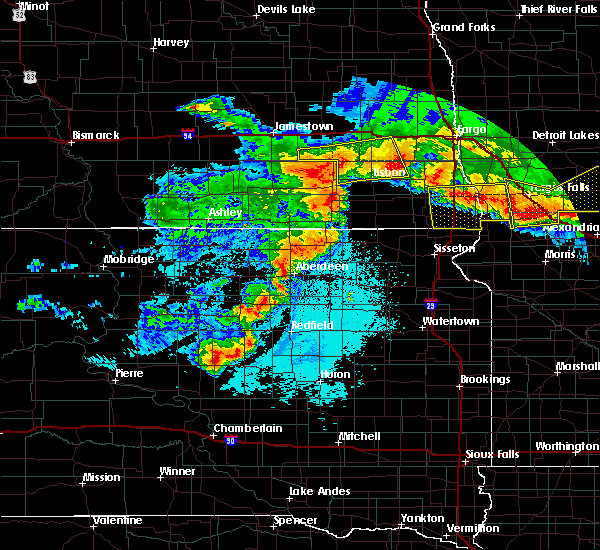 severe thunderstorms will be near, wahpeton around 145 am cdt. 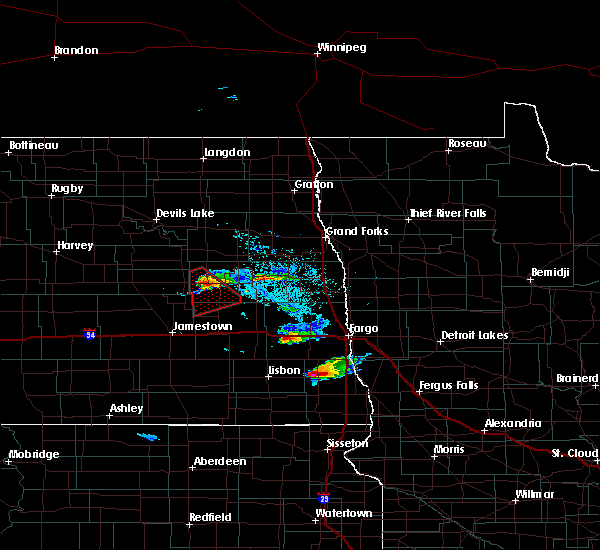 breckenridge and lamars around 150 am cdt. everdell and blackmer around 155 am cdt. 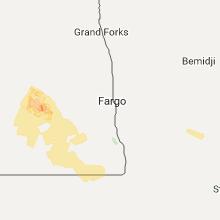 foxhome around 200 am cdt. western around 210 am cdt. also includes the following highways, interstate 29 between mile markers 0 and 19. Interstate 94 in minnesota between mile markers 65 and 80. 7/10/2016 1:36 AM CDT At 134 am cdt, severe thunderstorms were located along a line extending from near christine to near new effington, moving east at 45 mph (radar indicated. at 115 am cdt...55 mph wind was reported at gwinner). Hazards include 60 mph wind gusts and penny size hail. Expect damage to roofs. siding. and trees. 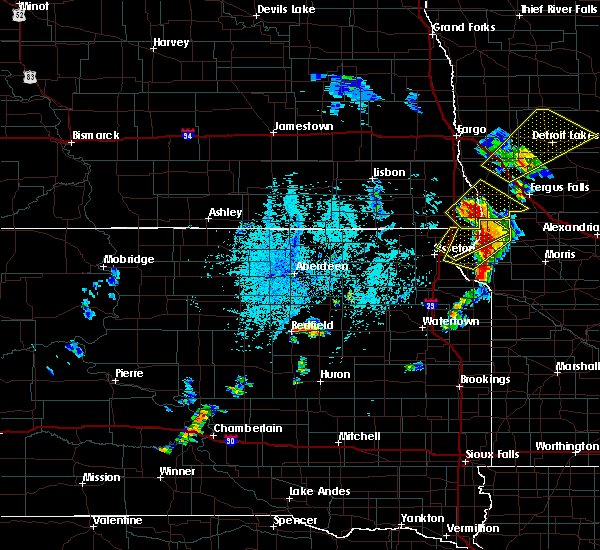 these severe storms will be near, christine and colfax around 135 am cdt. abercrombie and mccauleyville around 140 am cdt. 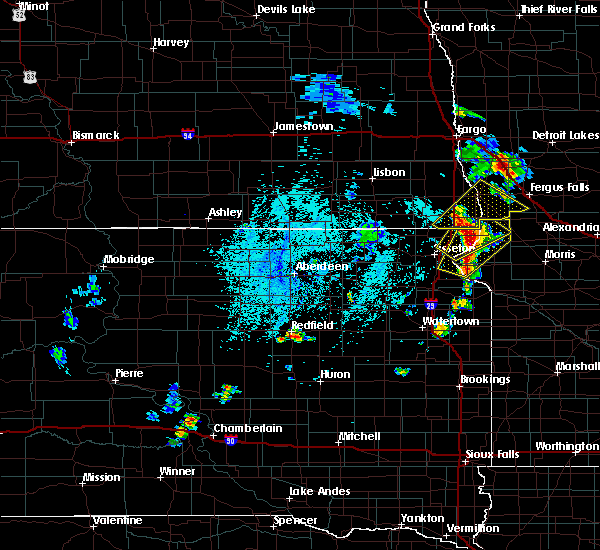 lamars around 145 am cdt. Also includes interstate 29 between mile markers 1 and 48. 7/10/2016 1:16 AM CDT At 113 am cdt, severe thunderstorms were located along a line extending from near barrie to near veblen, moving east at 70 mph (radar indicated. at 1 am cdt...75 mph wind was reported at havana). Hazards include 70 mph wind gusts and penny size hail. Expect considerable tree damage. damage is likely to mobile homes, roofs, and outbuildings. these severe storms will be near, walcott around 120 am cdt. colfax, christine and galchutt around 125 am cdt. abercrombie and mccauleyville around 130 am cdt. Also includes interstate 29 between mile markers 1 and 48. 7/10/2016 12:46 AM CDT At 1245 am cdt, severe thunderstorms were located along a line extending from near enderlin to near brampton, moving east at 80 mph (radar indicated). Hazards include 60 mph wind gusts and penny size hail. Expect damage to roofs. siding. and trees. severe thunderstorms will be near, havana around 1250 am cdt. 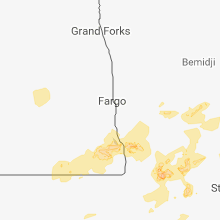 sheldon, anselm and venlo around 1255 am cdt. barrie around 105 am cdt. walcott around 110 am cdt. colfax around 115 am cdt. Also includes interstate 29 between mile markers 1 and 48. 7/10/2016 12:32 AM CDT At 1231 am cdt, severe thunderstorms were located along a line extending from near western to near barney, moving southwest at 15 mph (radar indicated). Hazards include quarter size hail. Damage to vehicles is expected. these severe storms will be near, mooreton around 1235 am cdt. barney around 1245 am cdt. 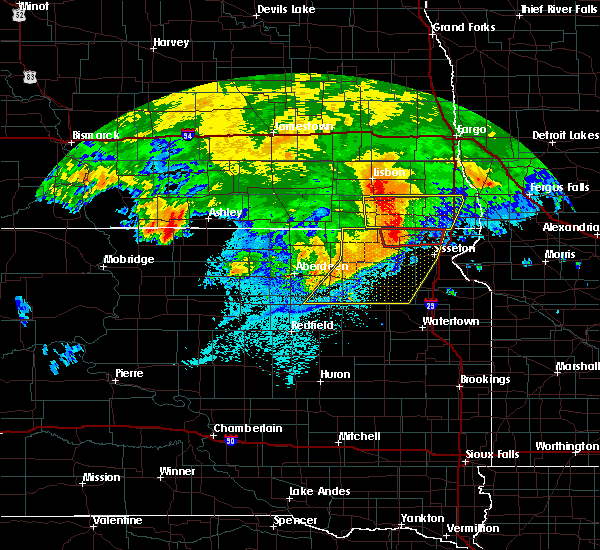 mantador around 1255 am cdt. doran and tenney around 100 am cdt. Also includes interstate 29 between mile markers 0 and 30. 7/10/2016 12:02 AM CDT At 1202 am cdt, a severe thunderstorm was located over breckenridge, or over wahpeton, moving southeast at 10 mph (radar indicated). Hazards include quarter size hail. Damage to vehicles is expected. this severe thunderstorm will be near, everdell around 1235 am cdt. doran around 1250 am cdt. campbell around 100 am cdt. Also includes interstate 29 between mile markers 0 and 36. 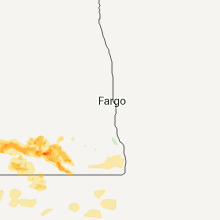 6/12/2016 2:53 PM CDT At 253 pm cdt, a severe thunderstorm was located over fairmount, or 13 miles south of wahpeton, moving northeast at 35 mph (radar indicated). Hazards include half dollar size hail. Damage to vehicles is expected. this severe storm will be near, fairmount around 255 pm cdt. breckenridge, campbell and doran around 310 pm cdt. everdell around 325 pm cdt. foxhome around 330 pm cdt. Also includes interstate 29 between mile markers 6 and 17. 6/12/2016 2:32 PM CDT At 231 pm cdt, a severe thunderstorm was located near lamars, or 19 miles northwest of wheaton, moving northeast at 35 mph (radar indicated). Hazards include half dollar size hail. Damage to vehicles is expected. this severe thunderstorm will be near, lamars around 240 pm cdt. sonora and blackmer around 245 pm cdt. fairmount around 250 pm cdt. breckenridge, campbell and doran around 310 pm cdt. everdell around 320 pm cdt. Also includes interstate 29 between mile markers 0 and 16. 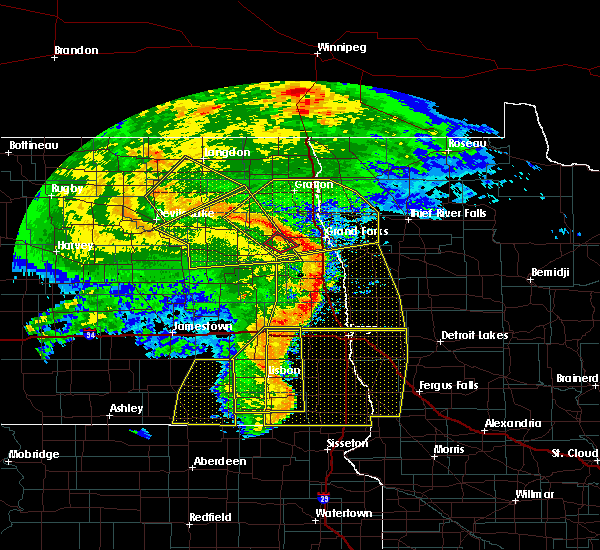 6/27/2015 8:40 PM CDT At 840 pm cdt, a severe thunderstorm capable of producing a tornado was located over great bend, or 13 miles southwest of wahpeton, moving southeast at 40 mph (radar indicated rotation). Hazards include tornado and half dollar size hail. Expect damage to mobile homes. roofs and vehicles. this dangerous storm will be near, sonora around 850 pm cdt. fairmount around 855 pm cdt. 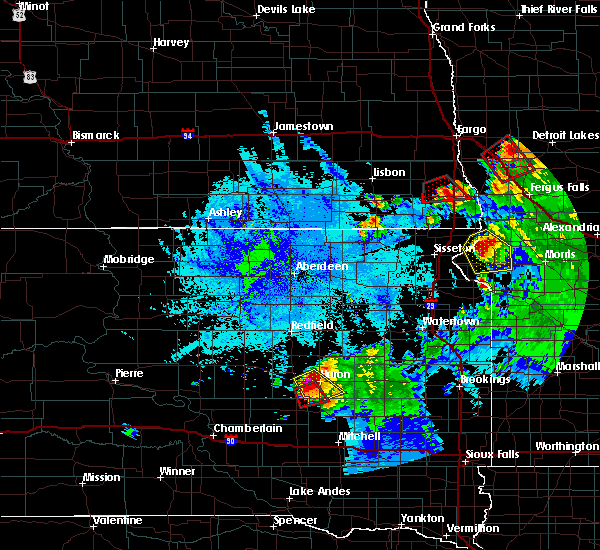 lamars around 900 pm cdt. Blackmer around 905 pm cdt. 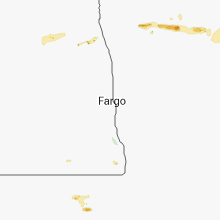 6/27/2015 8:26 PM CDT At 826 pm cdt, a severe thunderstorm capable of producing a tornado was located near mooreton, or 14 miles west of wahpeton, moving southeast at 40 mph (radar indicated rotation). Hazards include tornado and half dollar size hail. Expect damage to mobile homes. roofs and vehicles. this dangerous storm will be near, great bend around 835 pm cdt. 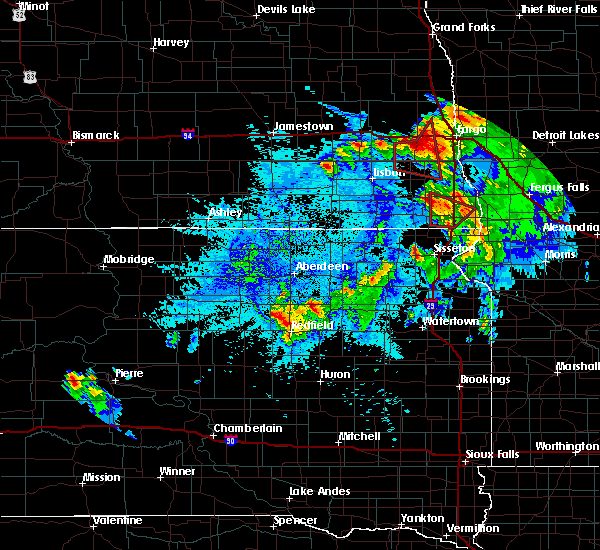 hankinson around 840 pm cdt. sonora around 850 pm cdt. fairmount around 855 pm cdt. Blackmer and lamars around 900 pm cdt. 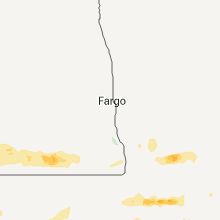 6/27/2015 7:40 PM CDT At 739 pm cdt, a severe thunderstorm capable of producing a tornado was located near hankinson, or 21 miles northwest of wheaton, moving southeast at 40 mph (radar indicated rotation). Hazards include tornado and quarter size hail. Expect damage to mobile homes. roofs and vehicles. This tornadic thunderstorm will remain over mainly rural areas of southeastern richland county. 6/27/2015 7:18 PM CDT At 717 pm cdt, a severe thunderstorm capable of producing a tornado was located over mantador, or 20 miles west of wahpeton, moving southeast at 25 mph (radar indicated rotation). Hazards include tornado. Expect damage to mobile homes. roofs and vehicles. this dangerous storm will be near, mantador around 720 pm cdt. hankinson around 735 pm cdt. great bend around 740 pm cdt. Sonora around 755 pm cdt. 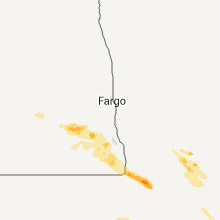 6/20/2015 7:35 PM CDT At 734 pm cdt, a severe thunderstorm was located near mooreton, or 15 miles west of wahpeton, moving southeast at 45 mph (radar indicated). Hazards include ping pong ball size hail. People and animals outdoors will be injured. expect damage to roofs, siding, windows and vehicles. this severe storm will be near, dwight around 745 pm cdt. great bend around 750 pm cdt. Sonora around 800 pm cdt. 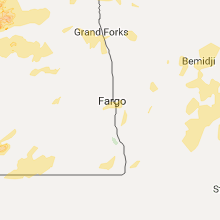 6/20/2015 7:16 PM CDT At 716 pm cdt, a severe thunderstorm was located 8 miles northeast of mcleod, or 27 miles northwest of wahpeton, moving southeast at 45 mph (radar indicated). Hazards include ping pong ball size hail. People and animals outdoors will be injured. expect damage to roofs, siding, windows and vehicles. this severe thunderstorm will be near, barney around 735 pm cdt. mooreton around 740 pm cdt. dwight around 745 pm cdt. great bend around 750 pm cdt. Sonora around 800 pm cdt. 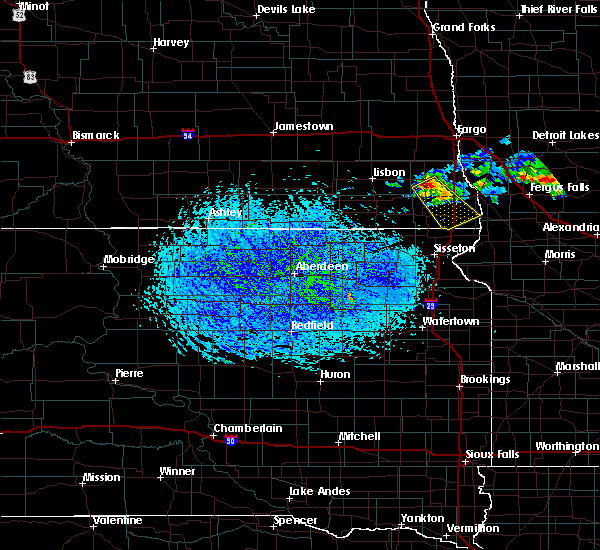 8/6/2013 6:00 PM CDT Quarter sized hail reported 9.7 miles NNW of Hankinson, ND, a few large hail up to quarter sized. 8/6/2013 5:50 PM CDT Half Dollar sized hail reported 1 miles E of Hankinson, ND, hail up to half dollar sized occurred for 3 to 4 minutes... or through 554pm cdt. 8/6/2013 5:50 PM CDT Half Dollar sized hail reported 0.1 miles SSW of Hankinson, ND, hail up to half dollar sized occurred for 3 to 4 minutes... or through 554pm cdt.